The most versatile lamb and kid feeding teat available. 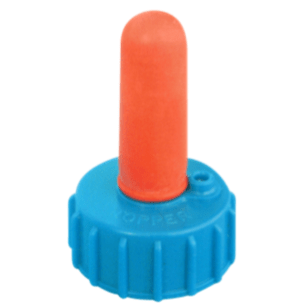 The solid cap incorporates a ball valve to allow inlet of air. The teat will fit all standard 28mm thread plastic coke and soda bottles. This is a long lasting teat that has the potential to rear several lambs without perishing. If you wish to speed up the flow just extend the tip x-cuts slightly.